[Watch] Snapchat to air cartoon series 'Highly Gifted' – AiPT! “Highly Gifted” premieres exclusively on Snapchat on Saturday, March 17th. It seems like social media outlets are always clamoring for an edge. Twitter started hosting NFL games, Facebook had their Tom Brady TV show, and so on. Snapchat will be joining in on the content sharing tomorrow, March 17th, with a new fully animated show called Highly Gifted. Created by Daniel & Jeremy Lehrer the show will span 8 episodes. The cast includes Oscar winner Nat Faxon, actor Josh Brener, pop singer Kesha, actor Drake Bell, comedian Ron Funches, actor Josh Brener (Silicon Valley) and comedian Jamie Curry. Check out a teaser trailer below to get a taste. For more details read the full press release below. Los Angeles, CA (March 16, 2018) – The Lehrer Boys announced today the upcoming release of, “Highly Gifted,” the first fully-animated show for Snapchat. 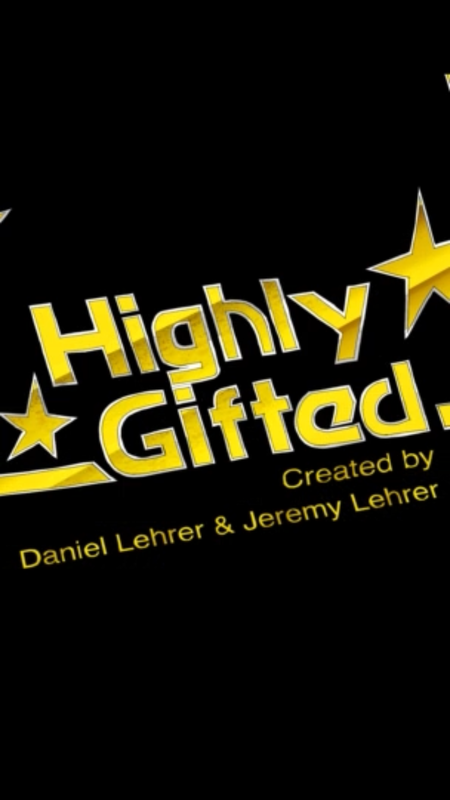 “Highly Gifted” premieres on Saturday, March 17th, and features eight (8) weekly episodes based on brothers Jeremy and Daniel Lehrer’s socially-challenged high school years. The series cast includes pop-icon and singer Kesha, actor Drake Bell, comedian Ron Funches, Oscar-winner Nat Faxon, actor Josh Brener and comedian Jamie Curry. “Highly Gifted” was produced by Shadow Machine and packaged by CAA. “Highly Gifted” will air exclusively on Snapchat’s Discover page. New episodes will air Saturdays and previously released episodes will be available using Snapchat’s Search feature. Shows on Discover are premium, original TV-like content produced for a mobile-first audience and inspired by the expressive communication Snapchatters use to talk to their closest friends. Jeremy and Daniel Lehrer (The Lehrer Boys) are identical twins, comedy writers, and cartoonists who grew up in a large family in Los Angeles where the emphasis was on academic excellence, classical music, fine art, and other activities designed not to get them laid. They created and produced “Highly Gifted” as a semi-autobiographical show based on their years in highly gifted programs, where they existed in a precarious intellectual bubble within the larger school – an exotic and forbidden world, where people went on dates, attended sporting events, partied, and engaged in other mysterious social rites and ceremonies. Snapchat has 187 million daily active users worldwide, with Snapchatters visiting the app approximately 25 times a day for an average of 30 minutes. Over 10 billion videos are watched on Snapchat every day.